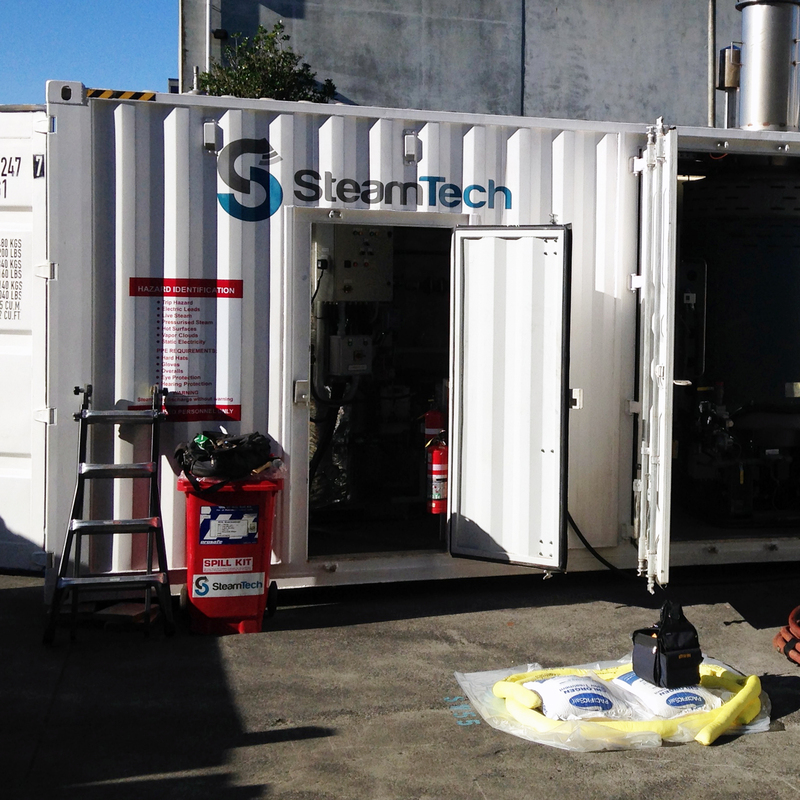 Steamtech offers a unique degassing and decontamination service to the Oil and Gas industry in NZ and abroad. With more than 40 years experience engineering and performing projects for some of the biggest names in world energy, Steamtech has built a portfolio based on delivering projects others deem impossible. 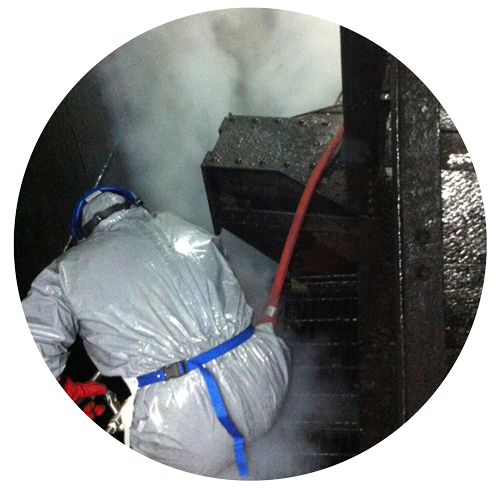 Steamtech’s unique experience is matched only by its investment in state-­‐of-­‐the-­‐art degassing equipment designed around the highest standards of safety and efficiency. All of our equipment is engineered to work independently from your systems, is fully containerized, and available for deployment around the world at short notice. While our core business is based in the Energy sector, the efficiency and effectiveness of our equipment and resources make us sought after by more conventional businesses. Many of our clients are in the Manufacturing or Food and Beverage processing industry. For any major project involving the use of steam, whether planned or unplanned, Steamtech can help you resolve it safely and efficiently. 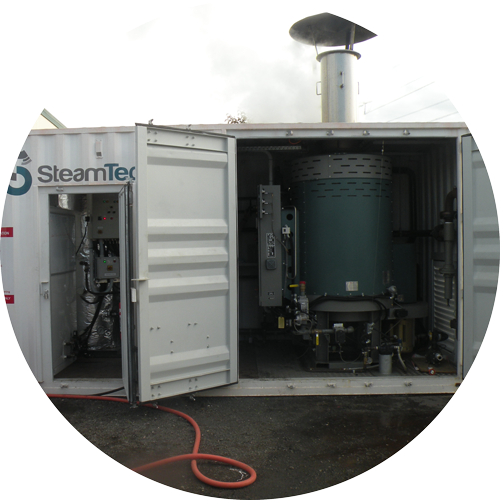 Steamtech are unrivalled in their equipment and approach to degassing and cleaning oil and gas facilities. Trusted by some of the biggest names in the world, Steamtech have conducted degassing projects at major sites on land and at sea, using state­‐of-­the‐art equipment and practices to ensure utmost safety and efficiency on the job. 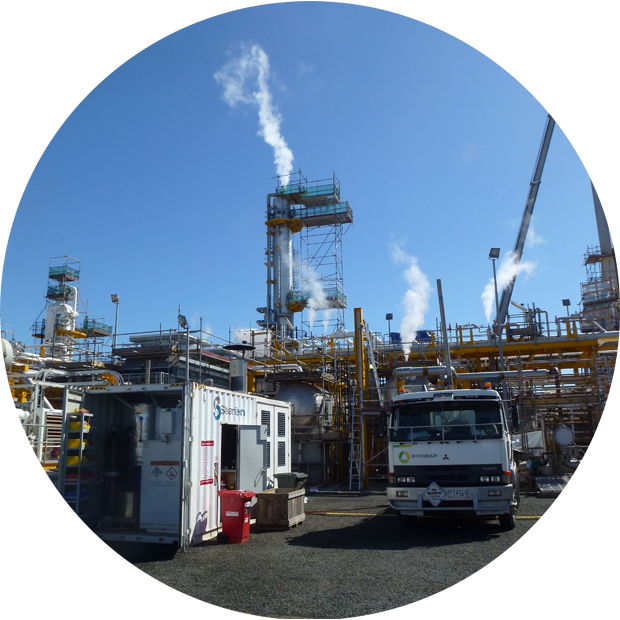 Projects such as the entire shutdown of the Pohokura Plant in New Plymouth demonstrate their ability to get clients safely back on line in the shortest possible time frame. If your job is difficult, or your engineers tell you it’s impossible, give Steamtech a call. We not only have specialist equipment for a variety of jobs, but also a wealth of experience solving unique problems for our clients. An example of our problem-­solving is the Bluescope plant at Kerbala, which required specially engineered equipment and months of planning and testing to conduct a 3-­‐day shutdown. Our range of independent containerised boilers are among the very safest available in the world, and are guaranteed explosion-­‐proof. We have a full range of hoses and accessories also. So if your boiler needs repairs, or if it goes off line for any reason, we can have you back on line in hours with the minimum disruption to your production processes. 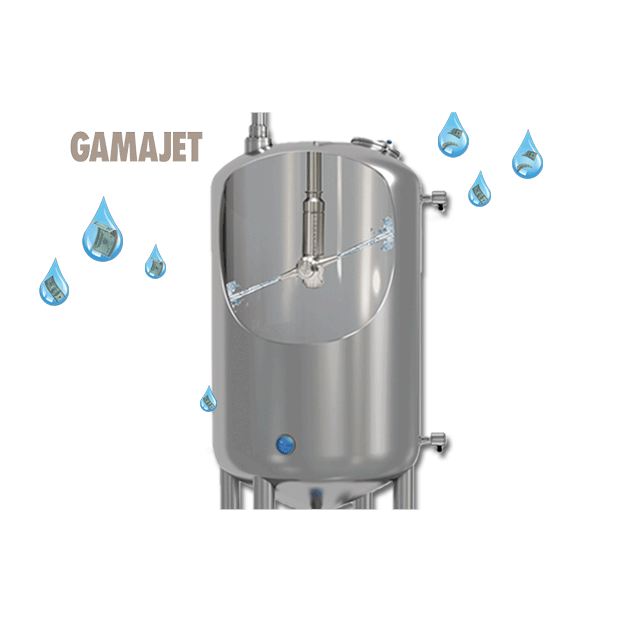 Using state-of-the-art Gamajet technology, Steamtech can clean the inside of tanks and vessels up to 60m in diameter, through an opening no bigger than a fist. The heads are capable of pumping up to 700psi, and have a cycle time of no more than 25 minutes, meaning they can be on your site and off again within hours.